The roofing you see on this elaborately designed home looks like traditional slate, carefully hand painted. 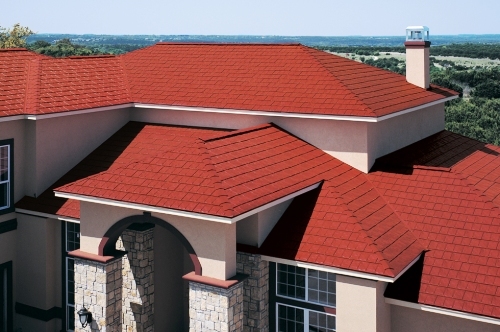 In fact, it is metal roofing – with all the beauty of slate, but nowhere near the cost, installation time, or years of tedious maintenance to look forward to. 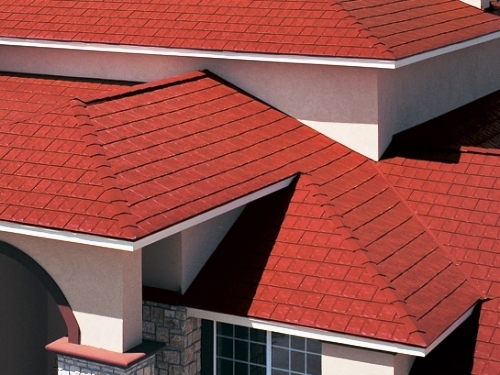 See more steel shingle style roofing here.